After watching Nigel Slater making flapjacks on TV this evening whilst making dinner, it put me in the frame of mind to make some myself. 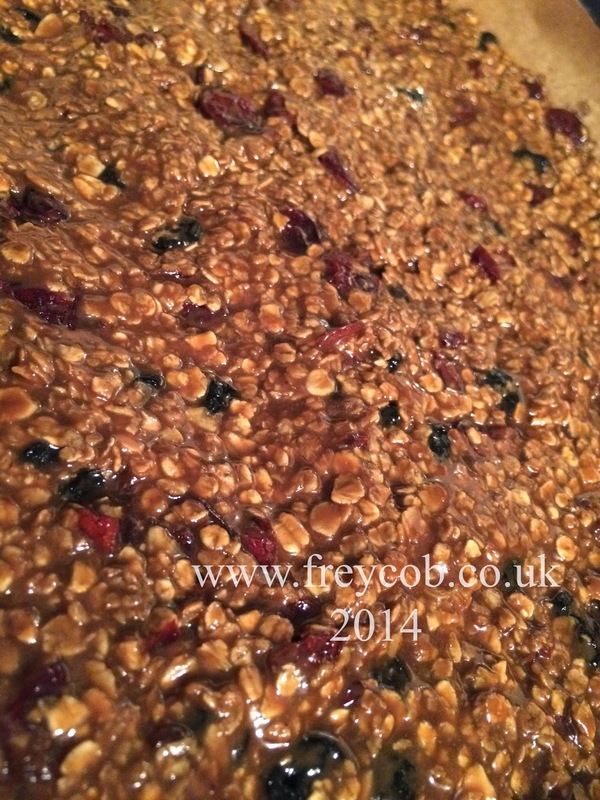 This one uses my basic flapjack recipe with added fruit and a treat of hidden chocolate. 1. Preheat your oven to 180˚C. 2. Heat the butter, sugar and golden syrup together until the sugar has melted. 3. Mix in the porridge oats until thoroughly coated. 4. 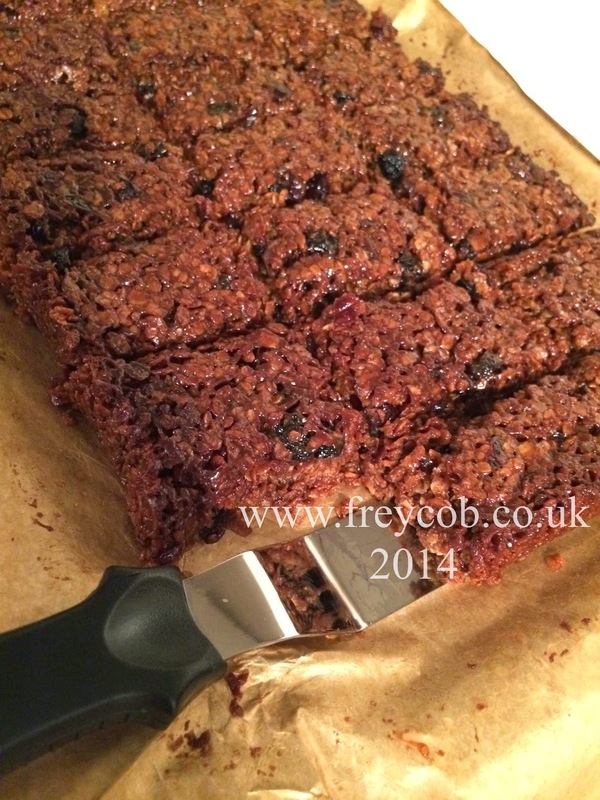 Stir in the cranberries, blueberries and chocolate. 5. Pour into a lined baking tin, 30cm x 20cm. 7. Cool in the tin for 10 minutes then remove to a cooling rack. 8. Cool on the rack for a further 10 minutes, then mark into individual sized portions. 9. Cool completely then cut into individual pieces. 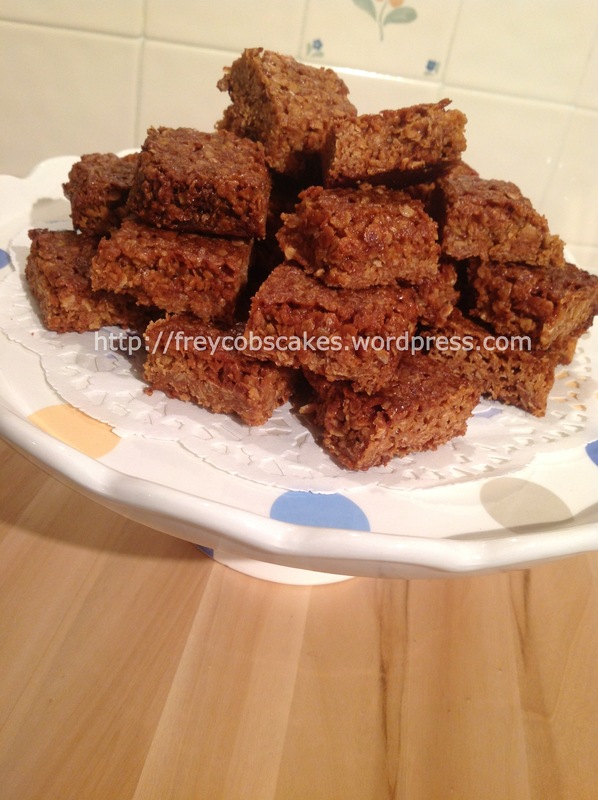 I’ve had flapjacks in my head for a few days now but fancied baking them with a bit of a seasonal spice twist, so I changed my basic recipe a little bit. 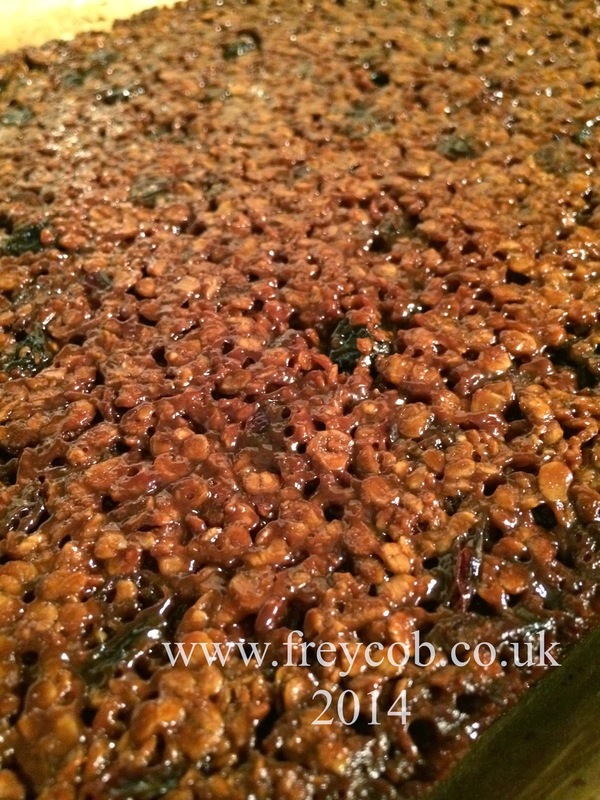 I used Organic Green & Black’s white chocolate and FairTrade cinnamon and brown sugar. 150g (6oz) White chocolate, chopped into chunks. 2. Melt the butter and sugar in a pan with the golden syrup. 3. Remove from the heat and stir in the porridge oats, cinnamon and chocolate. 4. Press into a 24x30cm tin, making sure the top is level. 5. Bake for 30 minutes until golden in colour. 6. Remove from the oven and allow to cool in the tin for 5 minutes. 8. Allow to cool for another 10 minutes in the tin. 9. Turn out onto a wooden chopping board & cut the squares through completely.